 Mouse anti Human CD281 antibody, clone GD2.F4 recognizes human Toll-like receptor 1, also known as CD281or Toll/interleukin-1 receptor-like protein. CD281 is a 786 amino acid ~90 kDa single pass type 1 transmembrane glycoprotein protein expressed by peripheral blood leukocytes and in tissues such as, spleen and thymus. CD281 plays an important role in the innate immune response to microbial pathogens (Netea et al. 2004). Mouse anti Human CD281 antibody, clone GD2.F4 does not cross react with CD282 (TLR2), CD284 (TLR4) or TLR4/MD-2. CD281 (TLR1) Fc fusion protein. Spleen cells from immunised mice where fused with cells of the NS0/1 myeloma cell line. Wyllie, D.H. et al. (2000) Evidence for an accessory protein function for Toll-like receptor 1 in anti-bacterial responses. J Immunol. 165 (12): 7125-32. Uciechowski, P. et al. (2011) Susceptibility to tuberculosis is associated with TLR1 polymorphisms resulting in a lack of TLR1 cell surface expression. J Leukoc Biol. 90 (2): 377-88. Visintin, A. et al. (2001) Regulation of Toll-like receptors in human monocytes and dendritic cells. J Immunol. 166 (1): 249-55.